Sleep deprived, pumped up, full of hope for the younger generation! 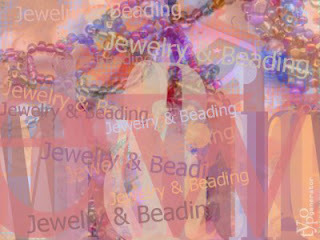 I have accepted a position with b5Media to write their Jewelry & Beading blog! I am extremely excited about this, because it will enable me to continue what I've been doing on this blog, but also to be able to do so much more. Artist profiles. More tutorials. Compile a library of basic techniques. Yay!! I hope that all of you who read this blog regularly (or even just from time to time) will visit and subscribe to the new blog. It will take me awhile to transfer content, and for the foreseeable future this blog will not be going anywhere. But I also won't be posting many new things to it either. Eventually, everything here which is worthwhile will be transferred to the new digs. 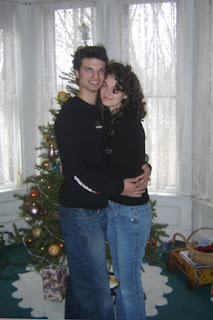 My son is getting married!!! Congrats on both accounts Cyndi! See you at your new blog! Your son and future daughter are very cute! Please keep this old blog bookmarked for awhile, because it's going to take some time to transfer the good stuff over from the archives! But all new posts will be at Bead Arts. Congratulations!! It is wonderful to have such great news! I will definitely read your new blog. beadarts.com is the name of your new blog? So, that is the blogsite I need to bookmark? Hi - congratulations, and I apologize for leaving a comment here (I couldn't find an email link)... I'm hoping that you'd be able to share with me how you get the amazon links up on your side bar...? I haven't been able to figure it out, and saw that you have such a nice set-up! Sorry again for the out-of-place questions, and thank you so much for any help! Lots of reasons to celebrate! Congratulations. You must be very proud... for each reason!